One of nine promotional images for “Young and Loving;” featuring work by Hiromi Takazawa. courtesy of S12. Norway’s S12, an open-access glass studio and artist run gallery in the district of Bergen, welcomes another chapter of their annual exhibition “Young and Loving” this Friday. This group show has been a valuable yearly event since S12 opened its doors to the public just over 5 years ago. The cooperative gallery has exhibited the work of 30 artists since 2007, and for 2012 curators Jeremy Welsh and Bergljot Jonsdottir have re-invited nine of the artists to participate once again. Bringing us into the future is the “Young and Loving” rookie, Allison Hoag. Hoag served as Glass Art Society’s Student Liaison from 2003-2004 while she attended The University of Hawaii, Honolulu. Her work is featured on the undergraduate studies page at The Division of Sculpture/ Dimensional Studies at Alfred University. Rounding out the retrospective are works from international artists formerly shown at S12, and some more than once. Allison Lowry, Charlotte Potter, Hiromi Takizawa, Mette Colberg, Stine Bidstrup, Ingird Nord, Julia Malle, Anna Mlasowsky, and Petra Thorgren have been chosen to display works in the 6-week run. Allison Lowry teaches master classes and workshops throughout the UK, and has work in permanent collections in the United Kingdom and China. She entered “Skull Cap” which she says, “Nearly cost me my sanity,” in Glass Games 2012 in London, England. Charlotte Potter, whose work for the Oklahoma City Museum of Art recently appeared on the Hot Sheet, also manages the glass studio at the Chrysler Museum of Art in Virginia. 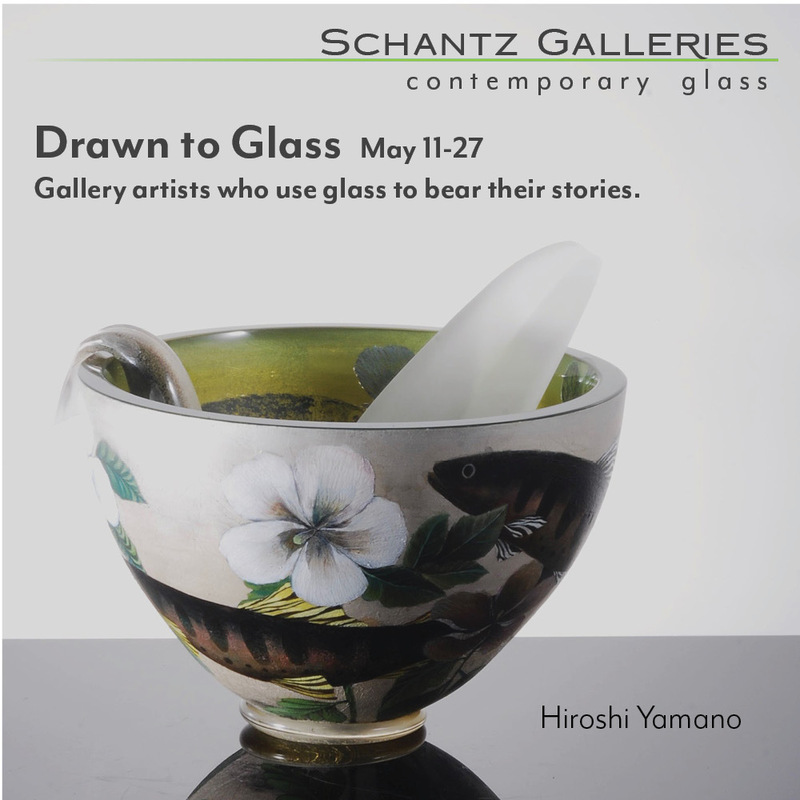 Hiromi Takizawa is a Japanese glass artist living and working out of Southern California after studying, and later teaching, at some of the West Coast’s premiere institutions for glass art including Santa Ana College and the Pilchuck Glass School. Mette Colberg of Denmark, whose glass, photography and print media series titled, “The Space Between Us,” debuted at the beginning of this summer, was awarded the bronze in the 2010 Danish Arts and Crafts Award. Stine Bidstrup is proving to be more than “kind of a big deal,” with 2 solo shows in the last year at Glasmuseet Ebeltoft and Hempel’s Glass Museum in Denmark. The latter exhibition was in support of her having been the recipient of this year’s Hempel’s Glass Award. Petra Thorgren last appeared in “Young and Loving” in 2009, and runs a blog out of her native Sweden entitled “Peep Show.” Her writing and flair for sculpture display a twisted sense of childlike humor that transcends any difference in native tongue. An instructor and part owner of S12, Ingrid Nord received her Bachelor’s degree from Edinburgh College of Art. The country of Norway granted her a 2 year work grant for emerging artists in 2006. Austrian born Julia Malle has a background in scientific glass blowing, but since graduating with a master’s degree from Edinburgh College of Art in 2010, she has been working as a freelance artist out of her studio in Scotland. 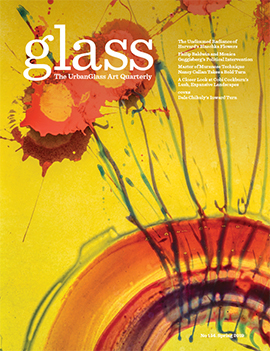 Anna Mlasowsky was featured in 2011’s New Glass Review (32) and has exhibited solo shows across Europe, the United States and Japan. Her website details a work in progress that will be featured in the next New Glass Review as well. S12’s “Young and Loving” opens August 10 and runs through September 23 of this year.